No matter whether your campaign is profitable or not, optimizing the ad spend to eliminate unnecessary costs is always a best practice. This doesn’t only mean lower CPAs but it also helps increasing the overall quality score of the account thanks to a higher CTR in the account. Here are 5 methods that will help you reduce your account waste right away. Many keywords might be performing well in terms of CTR and CPC but they might not be generating direct conversions. Most times, companies assume that this is an indicator of quality traffic that needs remarketing to convert. However, analyzing the bounce rate and time on site they might realize that some keywords are not worth keeping at all. Pausing these keywords or optimizing their landing page with the goal to improve time on site and bounce rate is going to help to better invest the marketing budget. There are two ways to retrieve this information: Directly from Google Analytics or importing Google Analytics columns in AdWords. In both cases, it is required to link google AdWords and Google Analytics, which can be done in the admin section of Google Analytics. Search terms report show advertisers the exact terms that retrieved one of your ads. This report is extremely useful because it helps identifying terms that business don’t want to show up for and add them as negative keywords for campaigns in the account. Once in there you simply need to make sure that the proper account is been showed as linked or you would need to select it. You should be pausing ads that are generating bad performance and create more ads based on the top performing ones. Ads that are relevant to the keywords in an ad group are likely to increase the quality score of the keywords and reduce the cost per click. Whenever a keyword enters an auction, it gets assigned an ad rank. The higher the ad rank is the higher on the page an ad will show. The ad rank is calculated multiplying the bid by the quality score. The higher the quality score is, the lower a bid needs to be to achieve a given ad rank. For instance, if your quality score is 10 and your bid is 2, the ad rank is going to be 20. However, if a competitor has a quality score of 5 and a bid of 3, their ad rank will be lower and therefore they will show up lower on the search page even though they were willing to pay more for the click. 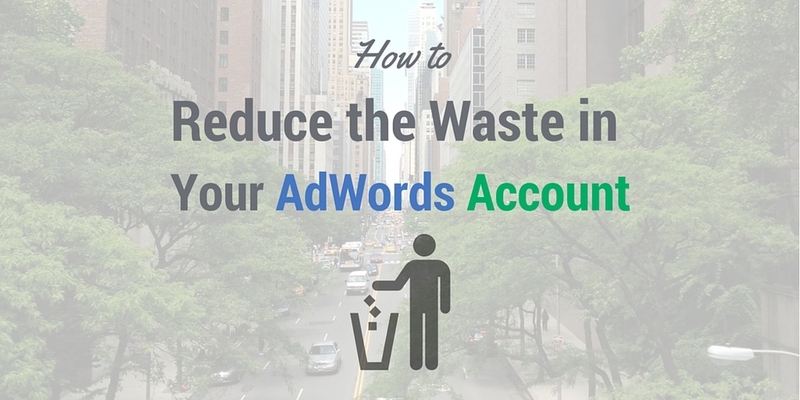 Optimizing an AdWords campaign don’t only mean getting more sales but it also involves reducing the amount of money that is wasted in order to repurpose it to more profitable activities. We are eager to hear your opinion. What other techniques do you use to optimize your ad spend?